Tumbleweed is a delightful little sasspot of a kitten! She was so very fierce when she came to live with BCR, and didn't think that people were trustworthy. Luckily, a fantastic foster home changed her mind! Now Tumbleweed loves to play and snuggle with her siblings and her foster family. She's got a terrific purr for such a small kitten! 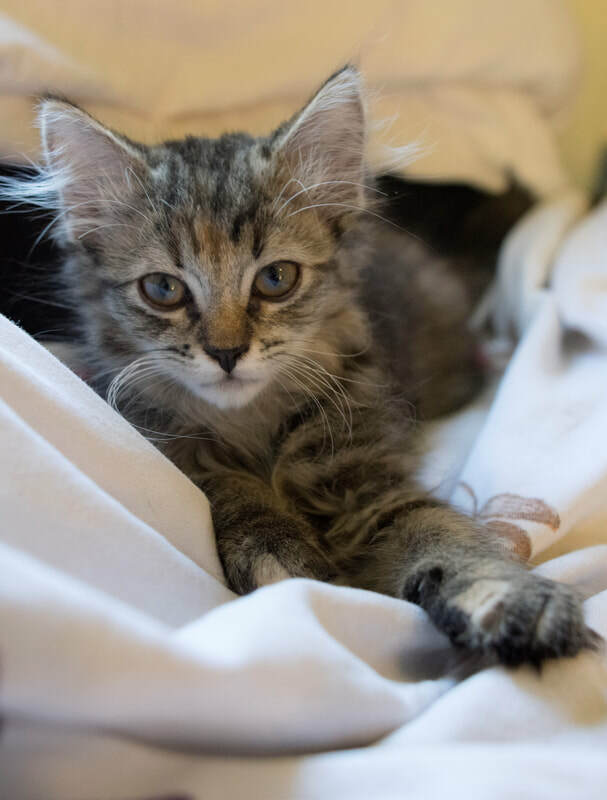 If you are looking for a sweet and sassy little lady to keep you company for the rest of your days, don't let Tumbleweed pass you by.